Immune deficiency is a state in which the integrity of the human immune system is significantly compromised. Immune system is the protector of the body from hazardous foreign enemies such as viruses, bacteria and other disease causing pathogens. Clinical studies suggest that moderate to severe discrepancies in the immune system can alter the normal activities of the body by significantly increasing the risk of infections and diseases. There are multiple reasons that may lead to immunodeficiency issues and such patients are regarded as immune-deficient individuals. With the advancements in medical sciences, it has now become possible to maintain normal quality of life even in the setting of immunodeficiency illnesses. Immunodeficiency disorders alter the capability of the immune system to restrict or kill microorganisms that are capable of causing infections and diseases. It is imperative to understand that the human body is exposed to so many pathogens that are capable of invading the biological systems despite all the primary defense barriers such as skin and gastric acid. Under normal circumstances, our immune system is activated as soon as the body identifies a pathogen or protein as potentially ‘foreign’. However, in case of immunodeficiency states, the body fails to identify these agents and thus becomes more prone to diseases and infections. The immunodeficiency disorders are generally categorized as acquired and congenital. If immune deficiency is present from birth, then this is regarded as congenital or primary; however, if the illness or condition is acquired due to a disease or viral infection such as HIV, it is referred to as secondary or acquired immunodeficiency disorder. Acquired disorders occur usually in adulthood and there are several reasons like diabetes and aging. The two basic sub-division primary and secondary have further different types. The signs and symptoms of immunodeficiency disorders are highly variable and depend largely on the type and extent of immune dysfunction. Immunodeficiency state marked by an increased propensity to develop infection is ideally diagnosed by a variety of lab investigations. There is also another test known as antibody test. In this test a vaccine with a live accentuated or killed organism is introduced in the human blood to see the response of the immune cells to the vaccine. Depending upon the response of the body tissues to the vaccine measured by the serial blood investigations and antibody titer, it can be safely assumed if the immune system of the body is functional or not. With the help of modern techniques and advancement in medical science, doctors are now able to detect different types of immunodeficiency disorders and how these conditions can be optimally managed via suitable treatment options. It is highly recommended that optimal management solutions are sought since severe immunodeficiency state often proves fatal without any intervention. 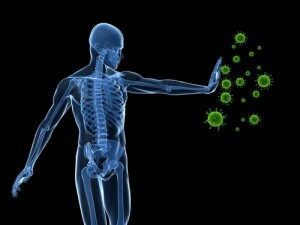 The primary aim of therapy is to identify the primary components of immune system that are weak or vulnerable. In primary immunodeficiency disorder, the treatment strategies are focused on replacing the defected component of immune system. But in case of acquired disorders, treatment solutions are dependent upon the inciting cause of illness or possible options. Antibiotics play an important role in preventing the acute, chronic and recurrent infections or disorder. Expectorants can be used to make the air passageways clear to prevent the accumulation of pathogens. Decongestants can also be used to prevent nasal or sinus obstruction. Anti-inflammatory drugs can be used to relieve pain. Postural drainage prevents blockage or accumulation of pathogenic elements. Recent advancements in the medical field have led to the discovery of several groundbreaking treatment options that can improve the life span and quality of life of the babies who would otherwise die of life-threatening infections. Transplant of bone marrow:Since almost all the immune cells are produced with the help of bone marrow stem cells, a marrow transplant can significantly boost the immune functions in individuals with defective in bone marrow. Enzyme: Enzymes are essentially required to complete almost all the tasks and biological activities within the body. It has been observed that a number of cases of immune deficiency are due to a congenital deficiency of a vital enzyme. Replacement of the enzymatic agent can sometime help a great deal in boosting the immunity naturally. Immunoglobulin injections:Injections of immunoglobulin also help fight the acute infections and helps in prolonging the survival. Cytokine injections:These are chemicals that are either made synthetically in the laboratories or are extracted naturally from other species in order to introduce passive immunity in susceptible subjects. Cytokine injects if introduced in the immunodeficient individuals can activate the immune cells to fight against infections. How Can Sleep Heal Your Body?